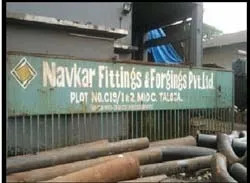 Navkar Fittings & Forgings is one of the leaders amongst manufacturers and exporters of high quality pipe fittings, buttweld and socketweld fittings in alloy steel, carbon steel, stainless steel, nickel alloys. Our products have found various applications in different industrial requirements, including - Oil & Gas, Chemical, Petrochemical, Power Plant, Pulp & Paper, Environmental & Water Projects, Engineering Projects and more. Through regular and consistent supply of our products at industry leading prices, we have established ourselves a reliable player in the industry. 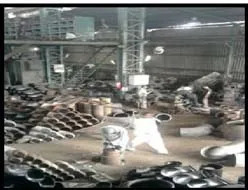 Our product range, includes - elbows, tees & cross, reducers, caps & stub ends, couplings , socklets, , , flanges, socket weld threaded fittings, steel pipe fittings, carbon steel pipe fittings, forged pipe fittings. We have the capability and expertise to design these products in different metal alloys and in a variety of specifications to fulfill the various requirements of our clients. 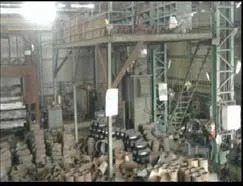 Bhushan Power and Steel Ltd.
At Navkar, quality is our specialty. We use latest technology machines and comprehensive quality control systems to ensure that our customers get exactly what they want. Our commitment towards quality has earned us huge accolades from our clients the world across and has helped us to carve a niche for ourselves. Bhushan Power & Steel Ltd. L & T Ltd. M/s. Shree Renuka Sugars Ltd.
Gajambuja Cement Ltd. Monsato DMCC Enviro Tech & Engrs. Finolex Industrial Ltd.
Shri Ramrupai Balaji Steels Ltd. Southern Iron & Steel Company Ltd. Gujarat Alkalies & Chemicals Ltd.
Siemens Ltd. M/s The Sirpur Paper Mills Limited. Reliance Industries Ltd.
Shriram Alkalies & Chemicals Ltd. Lavson & Toubro Ltd. Tata Projects Ltd.
Electrotherm India Ltd. ENPRO Industries Ltd. Jindal Stainless Steel Ltd.
Black & Vatech Consulting Pvt. Ltd. VVF Ltd.